55 Fiction : Catch 22 - A Rose Is A Rose Is A Rose! Friday’s 55 Fiction : Destiny?? 200 Posts and a SWOT Analysis! He had just started enjoying the party. A casual glance across the table and a shiver ran down his spine. A bead of sweat rolled down his brow. He looked away, as the muscles in his throat worked constrictively. And looked again, hungrily now. He almost snatched the ‘Lady’. Taming internal demons is surely arduous. PS: One of the street names/slang for Cocaine is Lady! Image Courtesy : Google ImagesTo read posts by other members of The Wordsworth Legions in the Super 5 Round, see here: Hitesh, Kshitij, Lazy Pineapple, Parth, Pujitha, Smitha and Tavish. Previous post Friday’s 55 Fiction : Destiny?? Next post 200 Posts and a SWOT Analysis! lovely Shilpa… u have brought the problem of drug addiction so well… i guess u can soon publish a book on all the fiction 55s you have written… they are all so awesome! Excellent SS-er Shilpa! You brought out that feeling of desperation so well! Wish those who are on drugs read this. Its very difficult to fight against our addictions, isn’t it? Drug addiction must be the most difficult among them. A demonic pleasure it must be..And like Nethra said..if its difficult to get over harmless addictions like chocolate how difficult it should be to fight an intoxicating adiction like the “LADY’. Very well expressed, Shilpa! Yes drug addiction can make a person so desperate and helpless! Nice way to capture the theme. @ Nethra : Right Nethra. A part of you wants to stop completely or never touch drugs again, while, another part is desperate to just forget about all that and get stoned. @ Vibhuti B : Yeah and may be the addicts have strong thoughts like, “I can’t stand this craving any more, I’ll go crazy if I don’t have some soon”. And with this all the rehabilitation efforts/plans goes down the drain! @ Deeps : That’s true but so very sad Deeps. fighting the demons indeed! very nicely written. Bang on …a very effective 55-er on Drug Abuse… Thank God I didn’t attempt it this round 😀 …. Very well written Shilpa. Conveyed the cravings and the challenges in 55 words!! nice take on addiction… well written. A positive post coming on a topic as this is a great thing and that too a 55?? Wow loved it all the best for the bpl a bery good take i have read a few of yr 55ers they are all very good. 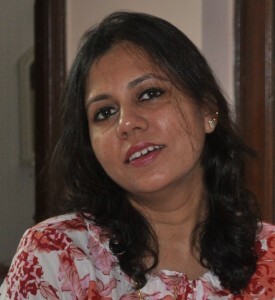 Shilpa, this onez too good… I liked the image a lot… Seems like you have the patience to select excellent images….